Snacks are important, so providing them with the right protection is the highest priority. Doing their part to beef up the defensive line of your snacks, the football fans at Wincraft came up with this line of NFL team helmet snack bowls. 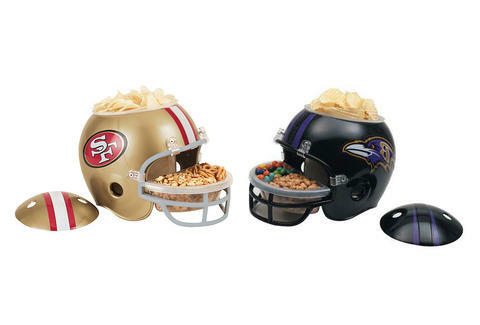 These authentic, life size helmets feature officially licensed team logos along with a three-sectioned design perfect for holding your favorite game day chips, dips, nuts, or candy. The three sections are also removable to ensure that clean up is easy. Just don't try wearing it for your weekly pick-up game.